A new bloom on one of my miniature ice orchids. The mini variety was new to me, I hadn’t kept any indoor plants since moving out of my home but for my two Philodendron; grown from slips of my Great Gran’s when I was a teen. I fell in love with these tiny, exotic orchids and thought I’d give them a whirl despite their temperamental reputation. 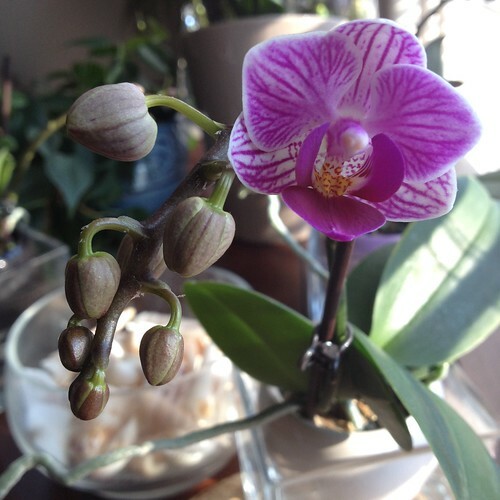 This is the first flush of bud and bloom since I purchased this one of the four. New home, new hope, new colour and life.